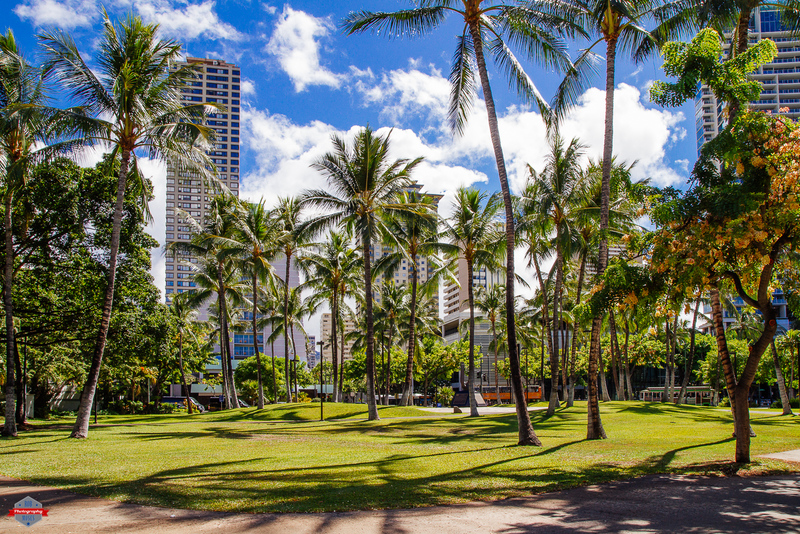 During my time in Honolulu I found myself zipping through this park (Ainahau Triangle) often. One day I was riding my skateboard through the park on my way to Starbucks for an ice coffee. The high palm trees and shadows caught my eye, so I stopped for this picture. Before my camera became a necessity to walk out the door, I’m not sure I really took in my surroundings the way I do now. This camera has not only provided me with the ability to take nice pictures, but it has given me the sense to stop and look around once and awhile to really take in the world around me. Thanks camera! ;). This entry was posted in Cities, Landscape, Travel and tagged 7D, Ainahau Triangle, beautiful, building, buildings, bus, Canon, city, City Life, clouds, condos, downtown, Hawaii, Honolulu, metro, modern, Native American, Park, photo, Photographer, Photography, pretty, shadows, sky, skyscrapers, summer, Tamron, Tlingit, trolly, Urban, Waikiki, zoom. Bookmark the permalink.